1899 St. Andrew’s College is established on September 10 at Chestnut Park, Toronto – the former home of Sir David Macpherson – under the Headship of Rev Dr. George Bruce, Presbyterian minister. J. K. Macdonald serves as Chairman of the governing body. By the end of the first year, there are 56 pupils, 13 of whom are boarders. 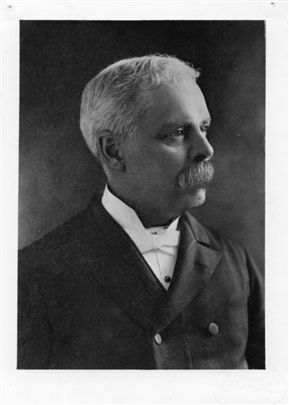 1900 Headmaster D. Bruce Macdonald is appointed. 1901 The first edition of The Review is published. 1903 The Old Boys Association is formed. 1905 The School outgrows its premises and moves to Rosedale, which was designed to accommodate 150 boarders and up to 300 day boys, along with nine Masters. The Highland Cadet Corps is established. 1906 The first Cadet Inspection is held on May 14, 1906, under the Command of Captain Cooper, a teacher at the School. The senior student rank is held by First Lieutenant C. Vincent Massey, who later became Canada's first native-born Governor-General. 1907 SAC wins its first Little Big Four football championship. 1908 The tuck shop opens with “Ma” Williams at the helm. 1909 J.A.D. McCurdy ’03 makes the first controlled powered flight in the Commonwealth at Baddeck, N.S. in the Silver Dart. Students attend SAC from several different parts of the world: Jamaica (5), USA (5), Mexico (2), Costa Rica (2), Panama (1), China (1) and Bermuda (1). 1911 The School becomes a corporation under the control of a Board of Governors. J. K. Macdonald (father of Dr. Macdonald) presides as Chairman. 1914-1918 Six hundred Andreans fight in WWI; 104 Old Boys and two Masters lose their lives. 1915 The Pipes & Drums are formed, under the direction of Pipe-Major Fraser of the 48th Highlanders, comprised of 10 bugles and five kettle drums. 1918-1920 Temporary move to Knox College, Toronto when SAC Rosedale is expropriated as a military hospital. As of 1919, there are 12 Masters on the teaching staff. 1923 Sir Joseph Flavelle is appointed Chairman of the Board of Governors. He remains in the position until 1938. 1925 Lawren Harris ’03 paints the portrait of Dr. Macdonald that now hangs in Towers Library. 1926 Marani and Paisley '10 are the architects of the new SAC building in Aurora. 1926 The foundation stone is set in place by Vincent Massey ’06. Dunlap Hall is opened as a classroom and administration building, and also houses a swimming pool and gymnasium. Flavelle House (named for Sir Joseph Flavelle) and Memorial House (named in honour of those Andreans killed in World War I) are the boarders’ residences. Located between Flavelle and Memorial (now Sifton House) is the Dining Hall/Infirmary. The Malone Playing Fields are named in honour of Lt. Maurice Malone, killed in action 3/6/16. 1928 Memorial Gateway is presented in memory of John Kay Macdonald by his two sons. 1930 Macdonald House construction is complete and consists of classrooms, dining room, and residences for the Lower School students. A choir is formed at SAC. 1931 Consecration of the Memorial Chapel (given to the School, initially anonymously, by Sir Joseph Flavelle). 1932 The first wedding takes place on Saturday, June 25, 1932 between Harold (“Bud”) Davison ’09 and Miss Marjorie Muriel Stern. 1934 Ladies Guild is formed. Mrs. N. W. Rowell is the first president. 1935 After 35 years as Headmaster, Dr. Macdonald retires and Dr. Kenneth G.B. Ketchum assumes the Headship. 1938 Dr. Macdonald succeeds Flavelle as Chairman of the Board of Governors. 1939 The Cadet Corps joins a guard of honour for King George VI and Queen Elizabeth. 1939-1945 Some 600 Old Boys serve in the armed forces. Forty-five die in the Second World War. Dr. Ketchum is temporarily seconded to the Royal Naval Canadian College in B.C., and John C. Garrett is appointed acting Headmaster. 1940s Housing is built for Masters, now known as Masters’ Row. 1940 The Campbell Houses (named in honour of C. Graham Campbell, a friend of Dr. Macdonald) are opened, providing two Masters’ houses. 1941 Mr. and Mrs. Gordon Hewett donate a jaguar skin to be worn by the bass drummer of the Pipes & Drums. The jaguar was shot by Col. Theodore Roosevelt, the former President of the United States. 1947 Percy Robinson, Latin Master, retires after almost 50 years at the School. James S. Duncan succeeds Dr. Macdonald as Chairman of the Board. 1954 A new housemaster’s residence is built at the NW corner of Memorial House, as well as two new masters’ houses at the south of the Upper Field. Two new tennis courts are built. 1956 The first issue of The Andrean is published. 1957 The tradition of the annual school play is established beginning with Moliere’s Le Malade Imaginaire, directed by Lloyd MacPherson. 1958 Joseph Robert Coulter becomes the fourth Headmaster at St. Andrew’s College. John K. Macdonald ’22 is appointed chair of the Board of Governors. 1960 Former Headmaster, Kenneth Ketchum, dies of cancer. 1962 In May 1962, the St. Andrew's College Foundation is incorporated under the laws of the Province of Ontario, Canada. The Lower School as a separate entity ceases, and students are integrated into the same buildings. The Great Hall is opened in honour of the Macdonald Family. It is the Dining Hall for all students, but also contains staff residences, a music room, and a barber’s shop. 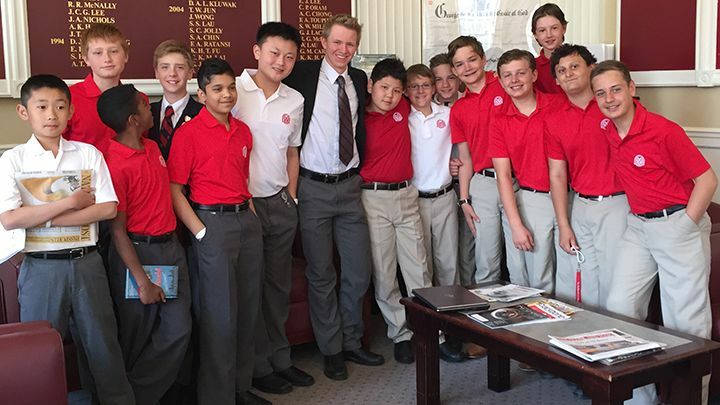 Fourth House is opened as the third Upper School boarding residence. A new classroom wing, later named Coulter Hall in honour of the School's fourth Headmaster, is completed. Every Master now has his own classroom. The new wing also contains the Kenneth Ketchum Auditorium (named to honour the School's third Headmaster) and a rifle range and cadet stores in the basement level. Dr. Macdonald dies at the age of 90. 1966 The School’s first full-time Chaplain, Dr. John Wilkie, is appointed. 1971 McLaughlin Hall is opened; it is named in honour of the major donor Colonel R. Samuel McLaughlin and is dedicated to science laboratories. 1972 Ramsey House, named in honour of Alan R. Ramsey '1908 (Old Boy and faculty), is established for Upper School day boys. Gage H. Love is appointed Chair of the Board of Governors. 1974 Dr. Tom Hockin is appointed as the School’s fifth Headmaster. Mayfest becomes an annual event. 1978 The School’s coat of arms receives official confirmation from the College of Heraldry. 1979 The Athletic Centre opens. The original building includes a double gymnasium, three squash courts, change rooms, and athletic administration offices. Peter D.G. Harris is appointed Chair of the Board of Governors. 1981 Robert Bedard is appointed SAC’s sixth Headmaster. 1983 Laidlaw House is established to honour Robertson Laidlaw, faculty 1909-1960. Barbara Houlding is the first female member appointed to the Board of Governors. 1984 The inaugural MacPherson Tournament takes place. Fourth House is re-named Sifton House to honour the Sifton Family. 1985 “Project ‘85” provides an addition to McLaughlin Hall for an art studio, computer science, and mathematics. 1988 Six-plex apartment building for staff housing is completed. 1990 The arts festival, Focus, is introduced. An addition to the Athletic Centre includes three additional squash courts, a new half Olympic swimming pool to replace the one built in 1926 and classrooms. 1991 School video, A Day at St. Andrew’s, produced by Gord Henderson ’69, wins a gold medal at the New York Film and Television Festival. 1993 The Ketchum Library is renamed in Honour of Graham F. Towers '13, the first Governor of the Bank of Canada. 1996 Brian G Armstrong '61 is appointed Chair of the Board of Governors. 1997 E.G. (Ted) Staunton is appointed as SAC’s seventh Headmaster. Additional Houses for faculty are built near the six-plex. 1998 The Athletic Centre is re-named The Bedard Athletic Centre after Headmaster Robert Bedard. Major renovations are made to Macdonald House and to Dunlap Hall to provide modern, efficient space for the administration. Board of Governors approves adoption of SAC Mission Statement: "Dedicating ourselves to the development of the complete man, the well-rounded citizen." New House is dedicated as Smith House to honour Geoffrey R. Smith, faculty 1964-99. 1999 Centennial of St. Andrew’s College. 2003 Opening of the new Middle School building, Rogers Hall, including the Yuill Gym. The Wirth Art Centre and the Gallery are also opened. Double cohort year combined graduations from the final grade 13 class and initial grade 12. 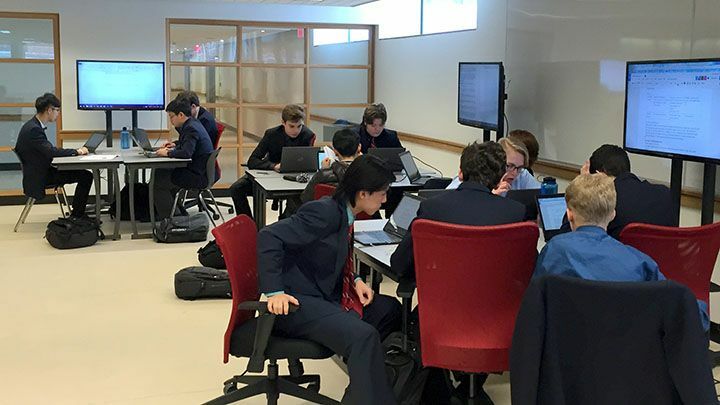 St. Andrew’s goes wireless - students and faculty start using laptop computers. 2005 Jeffrey S. Chisholm is appointed Chair of the Board of Governors. 2008 The Donald Davis Theatre, named after Old Boy Donald Davis ’46, officially opens with a performance of Edward Albee’s The Zoo Story. The School has students from 31 countries. The McEwen Leadership program is created, named after Rob McEwen ’69. 2009 Kevin McHenry is appointed as St Andrew’s eighth Headmaster. The Ladies Guild is re-named The Parents Guild. The Staunton Gallery is named to honour the retirement of Ted Staunton. 2010 Michael G. Sifton ’79 is appointed chair of the Board of Directors. 2012 Opened the Yuill Family Athletic Complex. Opened the La Brier Family Arena. 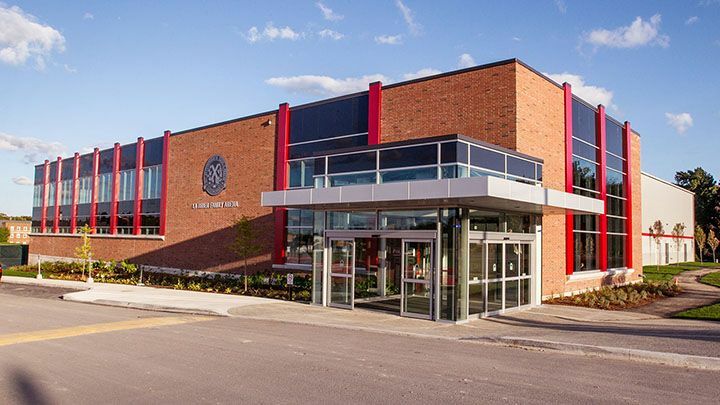 2015 Opened the Centre for Leadership, Innovation & Performance, and the (renovated and renamed) Petracheck McGillivray Pipes & Drums Centre.